Thursday means nearly Friday! Scoop neck tshirt from the “days of the week”. 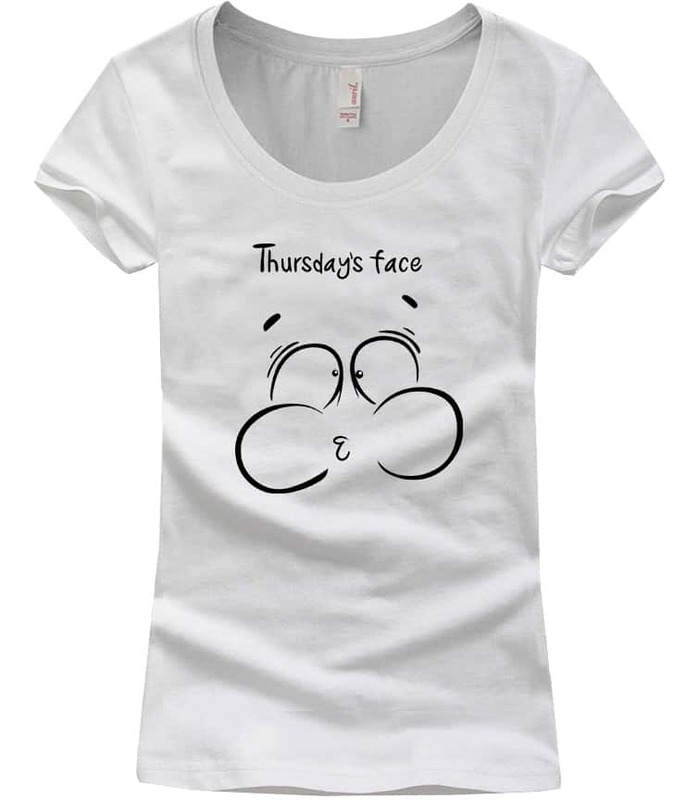 Today’s face is Thursday and we’re holding our breath for Friday!